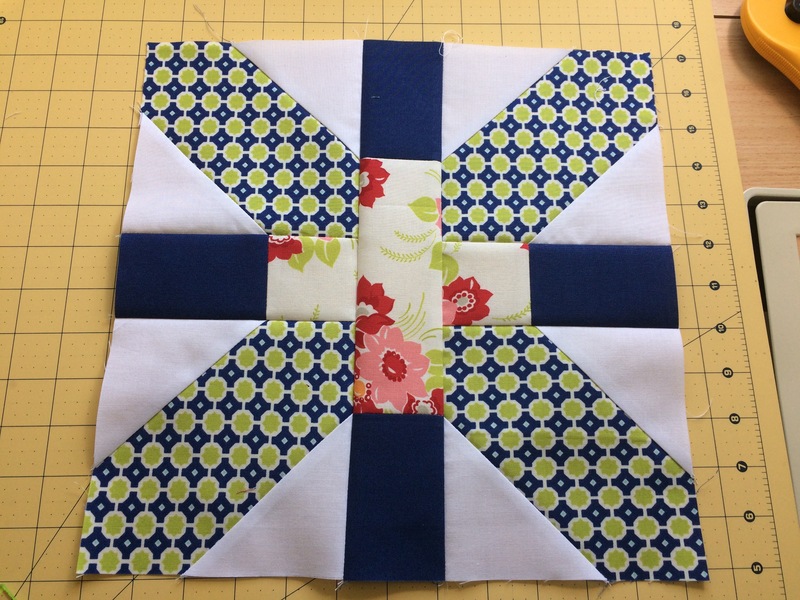 Our June Block of the Month is the X – Plus block! Using skills we learned in last month’s block, we create the “X” portion of the block. Perfect for using scraps you have in your scrap bin. Directions for this block will be uploaded to our site in December. Check out the scrappy versions on our Pinterest page! We’re putting the finishing touches on the directions for July. Be on the lookout for the instructions for these blocks on July 1st! 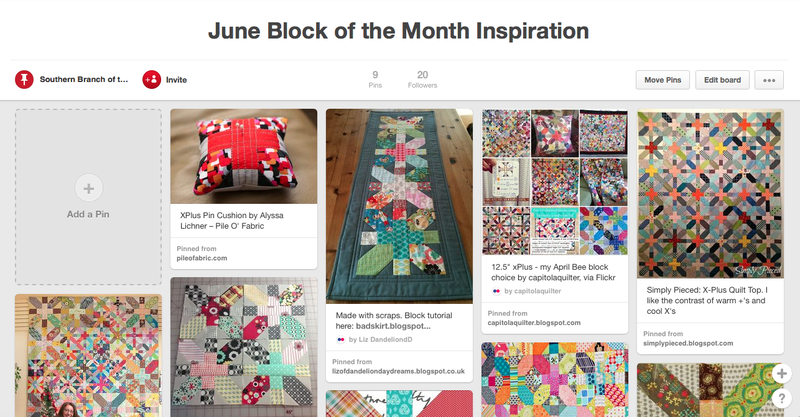 We’re still trying to catch up on our featured Block of the Month project. Debuted at our May meeting was the Rolling Stone Block! Utilizing our previously learned skill of strip piecing, we learned the square in a square unit. Be on the look out in November for the instructions to be posted on our site. 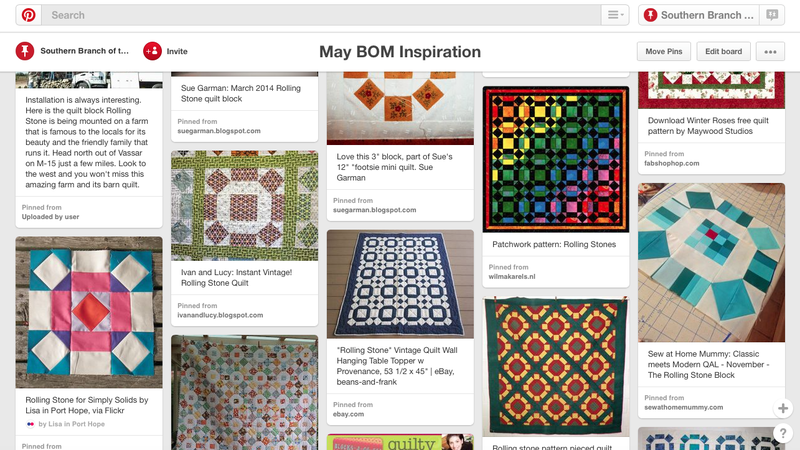 Be sure to check out our Pinterest site for inspiration! Well, we’ve had our last meeting for the summer! I hope everyone had an amazing time at the meeting. Wasn’t Irene MacWilliam’s talk such an inspiration? We started the meeting announcing the Summer Challenge: Nametags! We’d love to be welcoming to new members and to be able to know everyone’s names! Be sure to check out our Pinterest page for inspiration for your nametag. Click on the photo to take you to the board. 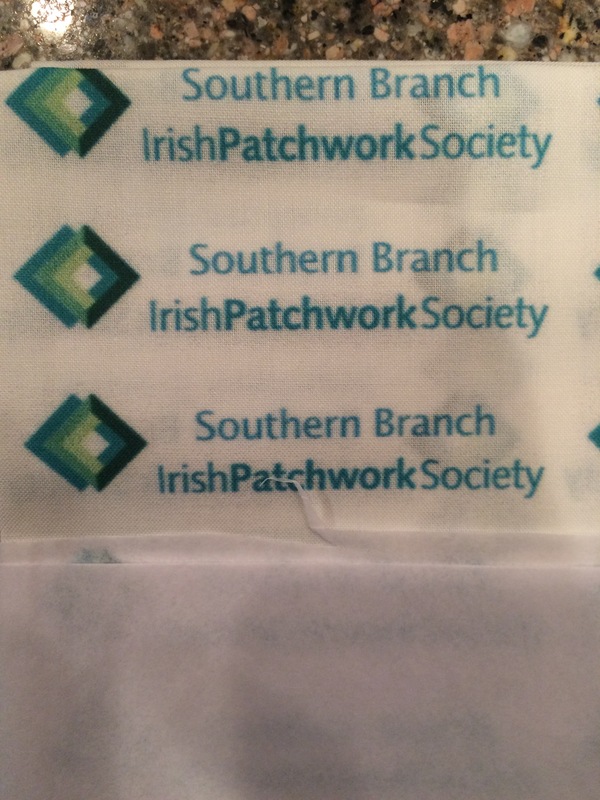 We also passed out a special “Southern Branch of the Irish Patchwork Society” tag to include on your nametag. If you weren’t able to get to the meeting and would like to participate, please send an email to corkips AT gmail DOT com. From there, Erin will give you an address to send a self addressed stamped envelope so you can be sent a tag. The Block of the Month was announced as well, the X-Plus Block! We’ll be continuing this project over the summer, posting the instructions here on the blog. Be on the lookout in the beginning of July and August. Our Show and Tell was also inspiring! Just look at all these projects! Our next meeting will be September 12th, but keep watching the blog. We’ve got a lot of content planned to give you your patchwork fix! Have a great Summer! June has finally arrived, and we are coming up to the last meeting before the summer break. Not that we intend to let you rest! We have an exciting summer challenge for you, with a twist! The B O M will continue o ver the summer and all instructions will be on Facebook and the blog. This is THE Irene MacWilliams weekend we have all been so looking forward to all year. She will be speaking at our meeting on Saturday morning . There is a workshop in the afternoon, and a whole day workshop on Sunday. All places are filled , but everyone will get a chance to meet her on Saturday. 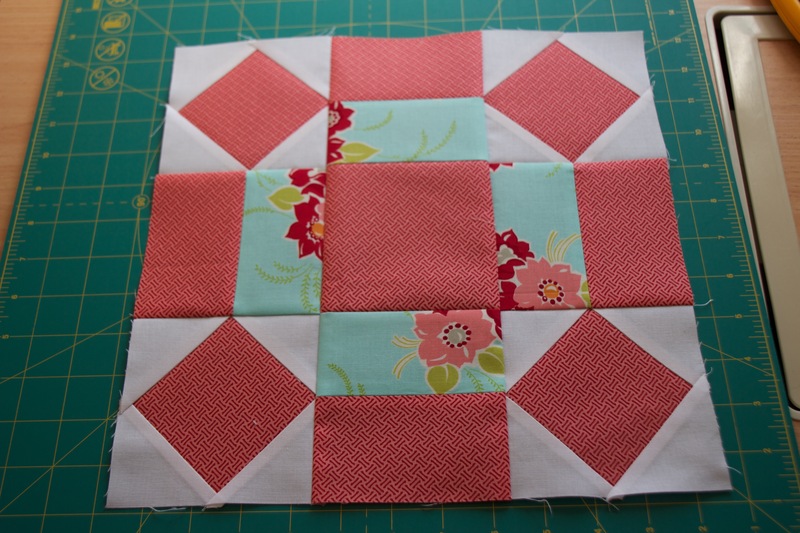 Erin will be demonstrating Block of the Month number 5. Tea & coffee will be provided, but once again, cakes and biscuits depend on your generosity. We couldn’t have a meeting without ” show & tell” please bring your gems and leave them at the door with the committee.